The signs have been here for months for WhatsApp's support of document sharing, but the feature has just started rolling out to users over the past several hours. It doesn't seem like the option is baked into a specific version of WhatsApp since we've seen users from 2.12.453 (official Play Store release) to the latest 2.12.493 (beta) reporting it suddenly becoming available to them, while others still don't have it. Odds are it's a server-side trigger that's spreading the feature, and at a very fast pace according to the tips in our inboxes. 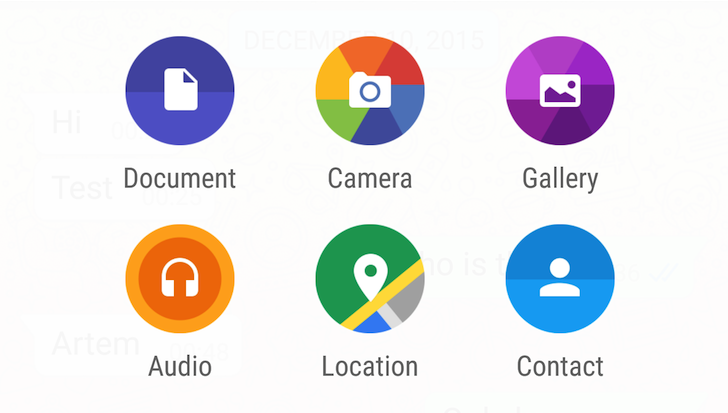 So how does WhatsApp Documents work? Sending a document is a matter of tapping the attachment icon in any chat and choosing the new blue Document icon.